Changed any contact details recently? Please use this online form to help us keep your clinic files up-to-date so that you can be contacted for reminders. The details will be emailed to us and we will update them on our system as soon as they arrive. Please include previous details in the notes section to help us find your file for modification. Check this box to register additional pets. 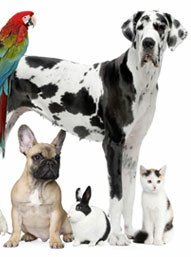 This information will be sent to your veterinary clinic so they can update your pet’s file and they may also use it to remind you when vaccinations are due, confirm upcoming appointments, advise you about local health alerts and provide information that relates to your pet’s health or clinic promotional offers. A copy of this information will also be received by the website hosting company for data recovery purposes only, if required.